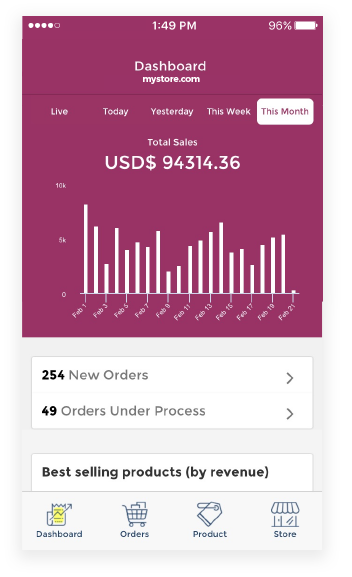 Real-time order alerts, track your store, get insights, and manage orders from your mobile devices. 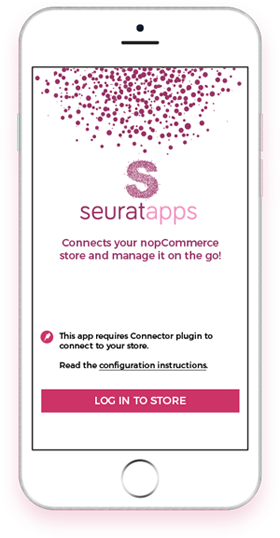 The nopCommerce app works with Connector plugin. Learn how to install plugin in your store. Available now for Android and iOS. 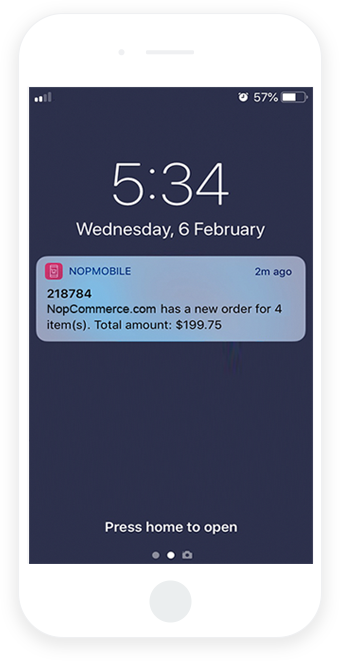 The nopCommerce Mobile Admin App lets you run your store on-the-go! The nopCommerce app works with Connector plugin. Learn how to install plugin in your store. 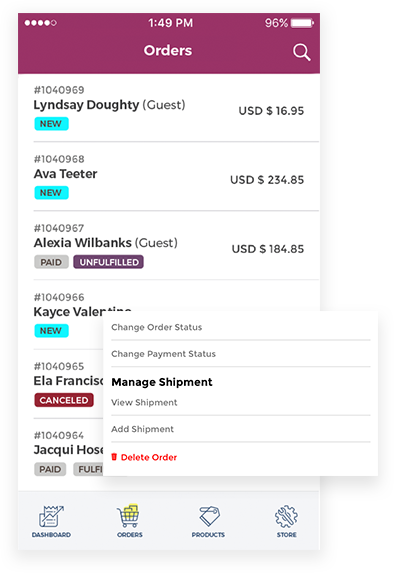 Get instant notifications for your store orders with a notification sound for every new order. Manage notification for multiple stores. See which products are performing best based on revenue and quantity. 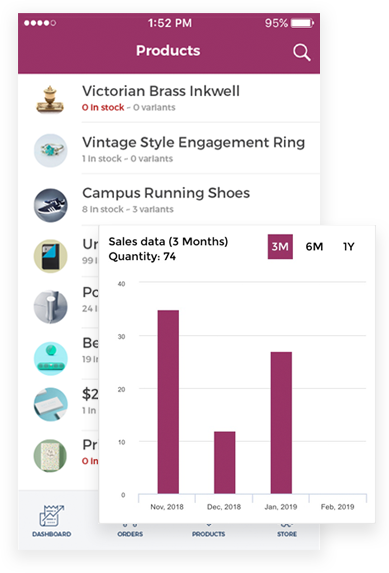 Check your overall revenue and view order and visitor data by day, week or month. Configure all your stores with our Multi-Store integration. Switch between stores on-the-fly! 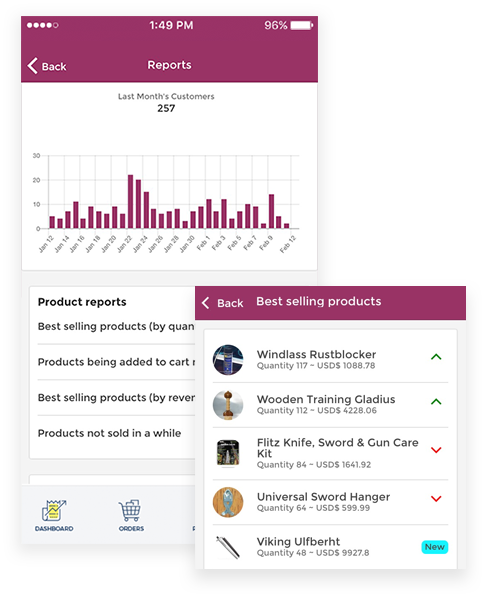 Tap to view products’ – price, inventory, sales data and variants information. Add, edit and remove the products’ information on the go. Add photos directly from your phone. Tap to view order information including order status, payment, customer information, and shipping details. Scroll through, filter, or look up for specific orders.